Our estimates typically come in 20-40% less then our competitors! At Good Neighbor Fencing, we believe in a customized fencing experience for each and every client. We listen to our client’s needs with the best affordable rates and we always construct our fences with top quality materials and craftsmanship. We offer the best price guaranteed! Simply show us a written quote and we will beat it. Good Neighbor Fencing is fully insured and bonded, and offer a range of fencing services. All custom designed fences will fit your needs or requests. Whether you're looking for a small decorative fence or complete fence installation, we have you covered. "I appreciate that Good Neighbor Fencing responded to my inquiry in a timely fashion. I received a phone call within 30 minutes of my email"
"Good Neighbor Fencing took the time to go over the best solution for my fencing needs." 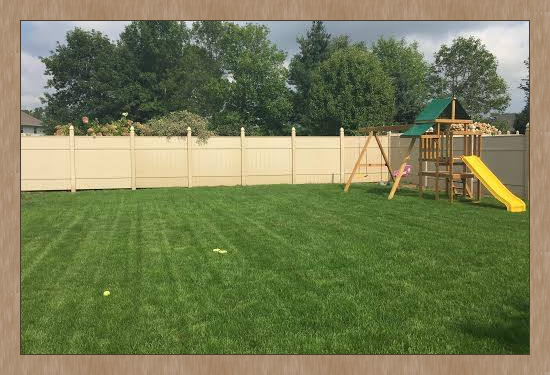 "We purchased our materials before contracting Chad, and he was able to work with us to install the fence to our specifications. His communication throughout the process was always prompt and professional. His workmanship on our fence was impressive; he made the process look easy. As he erected the fence, he ensured minimal disruption to our landscaping and lawn. He also was very friendly and accommodating with our two labs - they were always curious as to why he was In the backyard. We love the finished product, and would gladly recommend his services!" © Copyright Good Neighbor Fencing. A Wisconsin Fence Company. All Rights Reserved.